I had stumbled on this project in a blog and thought I'd give it a try. This project is very fun and easy. It's so addicting...I'll be making some more that are not for Christmas. Andrea, I love the star. 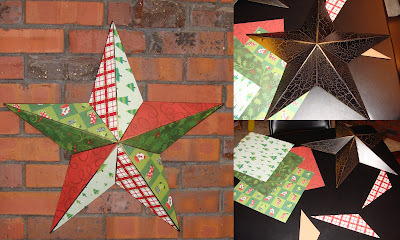 I have found some really cute crafts for this Christmas that I want to try. I am adding this one to my list! Thank you! We are going to make one for Christmas for the teacher. I think they make great gifts. And like I said they are so fun to make. Post a picture of what you come up with.